Thank you very much for considering to donate to Sanatana Dharma Foundation.We invite you to donate generously to Sanatana Dharma Foundation ! As you may be aware, Sanatana Dharma Foundation is a 501c3 certified Non-Profit making all contributions to SDF tax deductible. Our Tax ID is 20-8615051. We will issue you a Tax deduction Receipt letter for your contributions (if they exceed $100 for the year), in the month of January. To download, find this document in Scribd here. In the passing away of Pujya Swami Dayananda Saraswati, the divine has given up one of its most excellent forms of its myriad manifestations – the form and spirit of an extraordinary Guru. On a Gurupurnima day in a year past, Swamiji made the following observation – “There is no Guru without a Sishya”. In other words, the Guru and Sishya arise together, in relationship with each other. The readiness of the student, and the willingness of the Guru, is what makes the relationship flower. In Pujya Swamiji’s own words, the Guru is one who brings light into an area of darkness in the Sishya’s life. In the presence of a Guru, a Teacher, what was previously vague and unclear to the student, lights up with a brilliant clarity. Bharat has been blessed with many Gurus from many different Sampradayas, throughout its ages. And each Guru has addressed himself or herself to the needs of the people of their own time and age. In this lineage, some Gurus stand out, for their brilliance and eloquence, and Pujya Swamiji will be remembered as one of the finest among the Gurus of the various paramparas of Sanatana Dharma. I began my association with Pujya Swami Dayananda Saraswati in the year 1994 in earnest, when I attended a series of his lectures titled – “Relationships and Freedom”, in Mumbai. At a time when I was a graduate student at Ohio State University, and dealing with existential questions about my own life – such as “Who am I?”; “What is my life for?”; “What is the purpose of this existence?”; and so on – I encountered Pujya Swamiji, and have maintained a close association with him, for over 21 years now. Every encounter with him, whether it was for a short period of time, under an hour, or for a protracted period of time, over several days or weeks, has been a meeting of transformational significance. What made this possible? 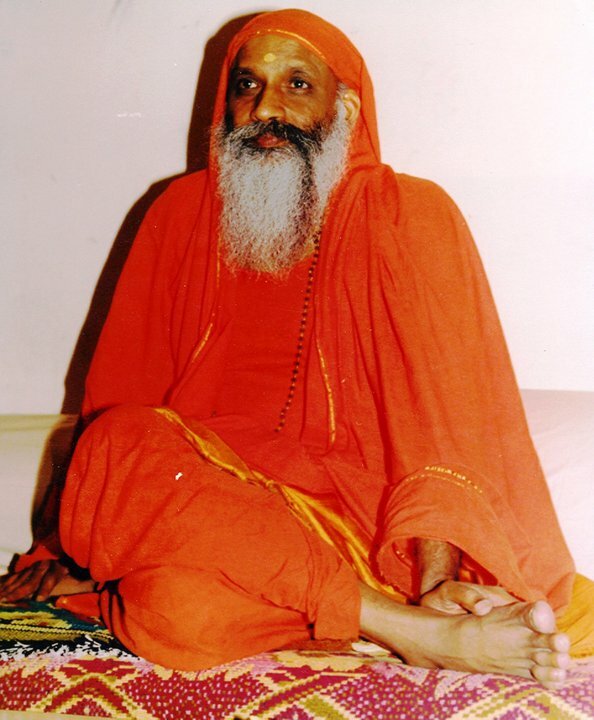 Swami Dayananda Saraswati’s unique gift lay in his constant seeking of how to communicate truths known to ancient Rishis to modern minds, pre-occupied with modern complexes and challenges. And perhaps even more importantly, his greatest gift was in his ability to speak to each person, in a manner that was most relevant and appropriate to that individual that addressed his or her most pressing spiritual need of the moment. At least, he seemed to speak to me, personally, whether he was addressing a whole audience, or just me in a private room, where there was no one else but just the two of us. I arrived at the Ashram, in Saylorsburg, in 1994, somewhat bewildered by Hinduism, its seeming incoherence, and its seemingly myriad and often conflicting expressions, and its relevance to the questions that were engaging my mind at the time. It was a time in my life, that science and engineering held primacy of place, and everything had to be scientifically and logically explained and better still, empirically verified through experimentation and demonstration. For over a year, I challenged him, intellectually, rationally and scientifically. I was not prepared to accept him as a Guru, unless he met my own internal standard of acceptability, even though I myself was not clear what that “test” was. I was mostly skeptical; not willing to believe; not willing to accept anything at face value; I was irreverent; I was not filled with a manifest Shraddha in the traditional manner appropriate to a young Brahmin man; I was not even sure what it meant to be a Brahmin in today’s age and time. I had a deep disillusionment with the whole domain of Ritual and its pomp and circumstance - It lacked meaning and significance for me. I had already deeply studied J. Krishnamurti, (1895-1986) whose austere life had held a special place in my heart. J. Krishnamurti’s singular and dramatic rejection of all tradition and Sampradaya, also held a tremendous value for me. I found Krishnamurti addressing himself to the moment, in current time. He seemed fresh every moment at every occasion – and nothing of the past seemed to cling to him. He seemed to be speaking from his own enlightenment, not from the authority of a scripture that codified someone else’s enlightenment. He was almost constantly mocking the lack of value of someone else’s enlightenment to one’s own life and its challenges. The private dialog that I began with Pujya Swamiji, first took the shape of interrogating J. Krishnamurti, and to my tremendous surprise, I discovered that Swamiji himself had been a great admirer of J. Krishnamurti in his younger years. One would not discover this easily, because Swamiji has spoken very little of J. Krishnamurti publicly. I would take passages from Krishnamurti’s speeches into his room, where he and I would privately engage with that passage for 30 to 40 minutes even as a crowd of people gathered outside his room, patiently waiting for his Darshan. We spoke about Krishnamurti, Ramana Maharishi, Swami Vivekananda, Ramakrishna Paramahamsa and Mahatma Gandhi, and Swamiji would patiently answer my questions and engage with me, as though it was the most important thing to do at the moment. This kind of accessibility and relationship with a teacher had never existed for me, until this moment. Even as we were dealing with abstract ideas, a personal relationship was also taking shape. The Shastra is a Pramana – A Shabda Pramana, and must be understood as that – he would say. I knew not what a Pramana was, let alone a Shabda Pramana. A Pramana is a means of knowledge; a means of communication – he would say, that allows a Guru to communicate to a Sishya. Without a Pramana, and the ability to utilize the Pramana, communication will always remain vague and unclear – he said; and we discussed the lack of a Pramana manifest in the life of teachings of J.Krishnamurti and Ramana Maharishi, and many others like them. I became intensely curious about what is a Pramana? Pramana is what makes a Parampara possible – he would say; it is the building block of reliable inter-generational transmission of the knowledge i.e. the Atma Jnana or the Brahma Jnana which was the subject matter of the Shruti. It is not a surprise that neither J. Krishnamurti nor Ramana Maharishi have a Parampara of any significance. What is Jnana? Does knowledge not need the validation of personal experience? I would ask. In fact, it seemed to me, the personal experience of a J.Krishnamurti or a Swami Vivekananda, or a Ramana Maharishi, held a greater value for me at that moment, than the conceptual framework of Vedanta, once I began to grant the possibility that there was such a thing called “enlightenment”. So many times, we discussed the distinction between concept and experience, and how our experience validates our concepts, and how our concepts in turn give rise to our experiences. For those who have taken courses with Landmark Education, this is a central proposition in their programs – By simply transforming our concepts, we can bring into being entirely new experiences. However, Pujya Swamiji, insisted that our experiences can be deceptive. In fact, what we experience as solid, liquid and gaseous in the physical world, is nothing more than groupings of atoms and molecules, organized together in various densities – in fact the entire reality of this world as we experience it, is subject to re-interpretation. Even our physical bodies are mere assemblages of compounds and chemistry, subject to change and disintegration. What is real here? He would ask. Even the Sun only seems to rise in the east and set in the west. What is really going on is entirely different! I would come away from the conversation more bewildered about “Reality” – Satyam. Little by little, he introduced me to the concept of “Mithya”, an order of reality that is intermediate between that which is wholly real (Satyam) and that which is wholly unreal (Asatyam); He gently questioned my attachment to scientific verification; Science concerns itself with objects that it can apprehend through the senses; Vedanta deals with the Subject who wields the senses and since the Subject cannot objectify itself – therefore the whole quest for scientific proof was illegitimate since it does not apply to the realm of the Subject; he would say. And I would come away reeling with a whole new dimension of inquiry. Vedanta and Science are orthogonal to each other – he said. The domain of Science is not the domain of Vedanta; (or the Veda); the domain of the Veda is nor accessible to Science; he would say. The people who are trying to demonstrate that the Veda is scientific, are missing the point – he would say. And I would walk away with a sense of awe about these conversations. 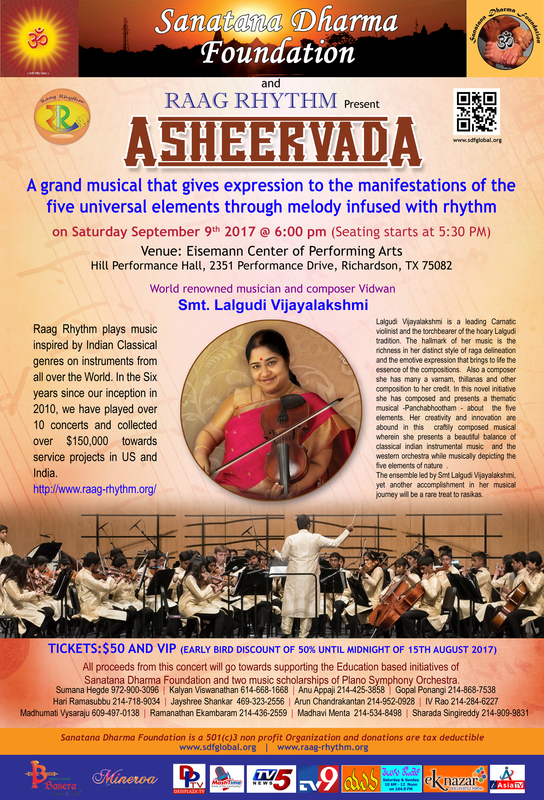 Vedanta was an investigation into the realm of Reality – Satyam. In that sense, its approach was more or less similar to the approach of a Scientist. However, the methods of science did not go far enough. As I listened to his discourses on “Reality”, different orders of Reality came into existence for me - the Ultimate Reality, the “Paramarthika” order; the seemingly Real i.e. the “Vyavaharika” order; and then there was also the imaginary reality – the “Pratibhasika” i.e. all that one imagines to be true, but is not really so. Science and the Scientific method was useful in distinguishing the Vyavaharika and the Pratibhasika orders – in fact much of the scientific critique of Hinduism as superstition arose from its commitment to empirical verification of propositions, which were largely confined to the Vyavaharika order of Reality. Science almost had no access to the realm of the Subject, the Spirit or Consciousness i.e. the Paramarthika order of reality. It could not comprehend it, measure it, and make observations about it. Science even today is unable to grapple with the phenomenon of consciousness, and assumes that it is merely a by-product of the physical body. If the Veda says something that is contradicted by scientific verification, then we must reject the Veda – Pujya Swamiji would say. That made sense. But on the other hand, if the Veda asserts something that cannot be disproved by Science, you must at least entertain the possibility of the Vedic propositions being valid – he would say. As this began to sink in, I gained a new measure of regard for the Veda, Vedanta and the Teaching tradition embodied in the Shruti, as it related to the domain of Science. One day, he looked at me with great compassion, and said to me “I want to draw your horoscope and see what is in store for you”. I responded by saying “I don’t believe in horoscopes”. He asked me “Why not?” I said it is not reasonable to assume that the positions of planets and stars at the time of my birth somehow influence the trajectory of my life. It is in fact so absurdly unscientific that it seems to me only the extremely superstitious would believe in such things. He smiled at me, and said to me, “the planets and stars do not cause how your life turns out. But there seems to be a correlation between the positions of the stars and planets and the way a person’s life unfolds”. As I looked bewildered at him, he said “you know there is a difference between correlation and causality”. Even as I pondered that sentence, he said “These correlations are a matter of the Rishis’ knowledge – We may not understand it, but we must respect it – It is in fact Arsha Vidya – the knowledge of the Rishis”. That sentence rang in my ears for years to come. On the same day, in the classroom during Satsang, he proceeded to tell the story of how he himself at one time did not believe in horoscopes and how he came to believe in their power, through the predictions of a brother Swami who lived near Purani Jhadi in Rishikesh during his days of seclusion. On another occasion, he said “Why don’t you start a Bhagavad Gita Class in Columbus, Ohio?” And I did. And this class went on for some six years or so. I went deep into the Bhagavad Gita, and began to enter into the mind of Adi Shankara. Since Adi Shankara wrote everything in Sanskrit, and we live in a time and age, where Sanskrit has largely gone out of fashion, Adi Shankara has become inaccessible to our current day humanity. The other Sampradayas, keep contending with Adi Shankara, without adequately either understanding or representing his positions and perspectives accurately. Through Swamiji’s words and teachings, I gained a new respect and regard for the brilliance of Adi Shankara. On another day I asked him, what is the value of knowing something without being it? He replied that the word Jnana represents both knowing and being – it is in fact an ontological word. He proceeded to deliver a talk that day that the Teacher is the Teaching. Jnana fuses knowing and being together. The talk was so brilliant, that for the first time, I began to sense that Jnana is not knowledge, in the sense that we understand the word knowledge in English. There is more to that word. Sanskrit has many layers of meaning – often veiled by our own rendering of that word into English. He said that there are many lamps, and many flames – but there is only one Agni. Similarly, while there are many waves, puddles, lakes and rivers, there is only one water. Even as there are many electrical appliances such as a TV, Microwave, A light bulb, a fan and an air-conditioner, there is only one electricity that brings them all to life. Thus even as there are many bodies, the Atma is one. Thus your Atma and my Atma are non-different. And the Atma is untainted by the content of our minds and their afflictions, just as the Sky remains untainted by the clouds that gather within it. The Clouds and the Sky belong to different orders of Reality, just as the physical body and its shadow belong to different orders of Reality. One can enter into an argument with another man or woman, but not with their shadows. I would go home, with the words “different orders of Reality” ringing in my ears. Shravanam and then Mananam. I had loved the ‘Being-ness” of J. Krishnamurti. He was a being with a great presence. But so was Pujya Swami Dayananda Saraswati. One abhorred the Shastra, and the other embraced it fully. And I began to see that the Shastra had nothing to do with it. But I also began to see, that without the Shastra, the medium of communication that generates clarity for the student, is somewhat impaired. But even if the Shastra provides the medium i.e. the pramana, the individual Guru also brings something to the Party. The extreme degree of fun and amusement that Pujya Swamiji could generate, even while unfolding the seemingly profound verses of the Upanishads, was extraordinary. I once took my father to a talk by Swamiji, and we laughed non-stop for ninety minutes. Pujya Swamiji was better than any stand-up comic that I have listened to – and far cleaner with his jokes. And boy, could he deliver a good story with a terrific punchline! As our relationship evolved, I observed him launch a variety of new initiatives - the Aim for Seva movement, the Hindu Dharma Acharya Sabha; and many other projects. I saw his close involvement in the Rama Sethu Court Case; his angst at the condition of the Hindu temples in India; his involvement in ensuring that the seven hills of Tirumala remained with Tirumala; his engagement with the Saraswati River conference and so on. I started going to him with my own propositions. Shall I help you launch the Web Site for the Hindu Dharma Acharya Sabha? Of course, he said. And for a while, we managed that web site. I am going to launch an organization called Sanatana Dharma Foundation and a program called Vidya Daanam. Swamiji blessed it, and even gave a few words of blessing. One of the most remarkable aspects of our relationship is that Swamiji never imposed anything on me. He never asked me to do something, that he wanted me to do. In fact, it was almost always the other way around. I would ask him, “May I do this?” and he would readily bless the endeavor. In the Bhagavad Gita, Chapter 18, Verse 63, Bhagavan Krishna says to Arjuna – “yathecchasi tatha kuru”– Do as you please.This has been Pujya Swamiji’s governing philosophy. After all the teaching, after all the hours and hours of discourse, and questions and answers and Satsang – these have been his final counsel – “Do as you please”. I must regard this as his greatest gift to his students – he has never imposed his own choice or will on his numerous students, but rather allowed each one’s life to unfold and flower in its own unique way. In the last two and a half years, I have been very involved with Dharma Civilization Foundation, Los Angeles, California, and the project that Pujya Swamiji initiated at the Graduate Theological Union, (GTU) Berkeley. I have discussed this initiative with him, on five different occasions in both Coimbatore and Saylorsburg, and on each occasion, he has grown more and more enthusiastic about this initiative. He has provided specific counsel, and very specific direction on how to move forward. His last wish to me was that we establish an “Adi Shankara Institute for the Study of Vedanta and Sanskrit” at the GTU, as an affiliate institution under the auspices of an independent, autonomous Graduate School of Hindu Dharma Studies which would function as the equivalent of a Hindu Seminary in the west. Evoking the same spirit with which Arjuna said “Karishye Vachanam Tava” i.e. “I shall act according to your word”, I too shall rededicate myself to the fulfillment of this vision, i.e. the creation of a Graduate School for Hindu Dharma Studies, and the Adi Shankara Institute within it. I can see no more fitting a tribute to the singularly committed life that Pujya Swami Dayananda Saraswati lived, than the dedication and devotion of our own energies to an initiative that he envisioned as worthy of our effort. This endowed chair will support a tenured professor in perpetuity, who will teach courses on Hindu Dharma in a prestigious University in North America. The leading candidate for this University is The Graduate Theological Union, Berkeley CA. 14 Questions People Ask About Hinduism and 14 short tweetable answers!